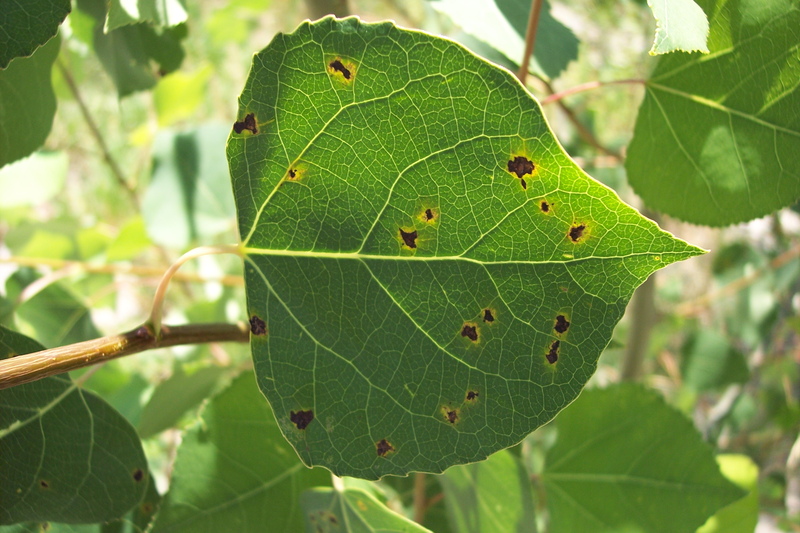 Marssonina blight is a fungal disease that infests aspens and cottonwoods. The infection starts as dark brown spots with yellow halos. 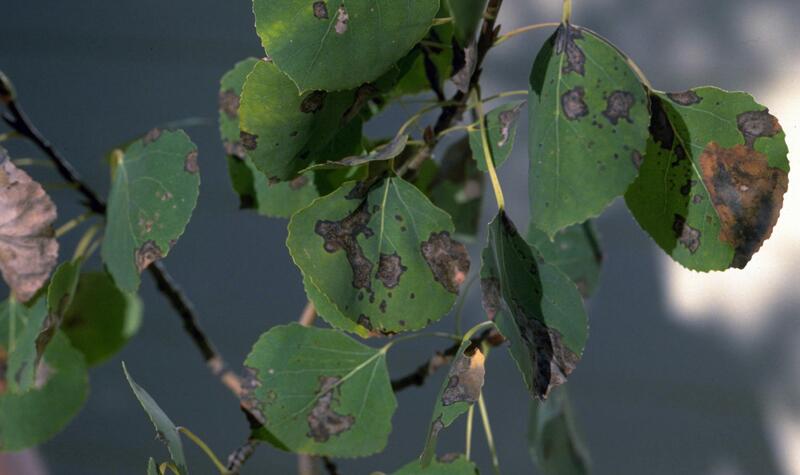 As the disease progresses numerous spots may grow together forming large black dead patches. Infected trees typically drop their leaves early. Remedies include cleaning up leaf litter, throwing away infected leaves and doing preventive sprays before infection, when favorable conditions exist.